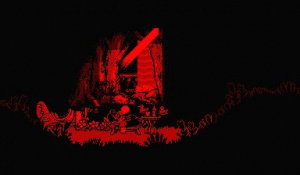 The Virtual Boy's best game? 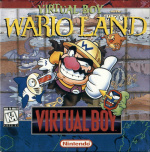 It's hard to talk about the Virtual Boy without mentioning Virtual Boy Wario Land; the ill-fated system only experienced 22 games throughout its short lifespan and this lack of software has resulted in some VB games getting a better reputation than they deserve purely because there's so little else to play on the console. 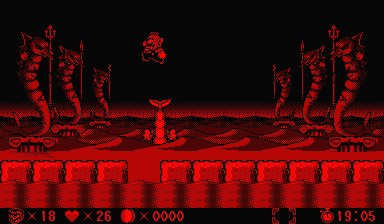 However, Wario's VB adventure is one game that breaks this rule; it's an amazing title in its own right and is almost worth buying a Virtual Boy system for. 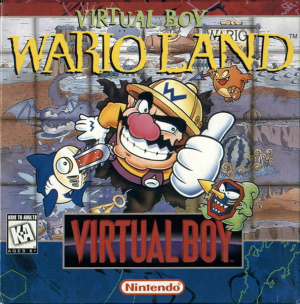 Virtual Boy Wario Land is a platformer that plays a lot like the first (Game Boy) Wario Land title, with Wario acting like a slower but tougher Mario as he throws or barges through enemies and jumps across platforms and smashes blocks to clear the way through the level. The game looks similar to its predecessor, but everything is bigger and more detailed. The 3D effect adds a lot of depth to the backgrounds that are made up of several layers. Everything is well drawn and never looks flat. Rather than have the backgrounds as just a nifty effect, Nintendo choose to make them part of the level. 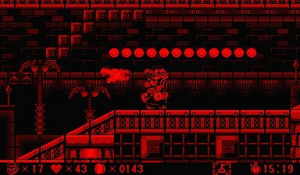 At times jumping into the background is required to avoid an obstacle or to collect an item. This is done by using a jump board, several of which are placed throughout each level. You simply step on it, tap jump and Wario launches himself in to the background and, in an effective audio touch, whilst in the background the sounds of his jumps and smashes become more distant. The 3D effect is also used on some enemies and obstacles. As you hop across the very first platforms of the game, giant spiked balls swing back-and-forth from background to foreground. You will also find that some enemies start a short distance away then move forward to attack, meaning you shouldn’t just focus on the foreground. It’s not so much that you mistake them for part of the background scenery, it’s so you can time your attacks – or perhaps just know when it’s safe to leg it. Power-up wise the bull and dragon hats return and the eagle hat replaces the jet hat – although they do the same thing (allow flight). 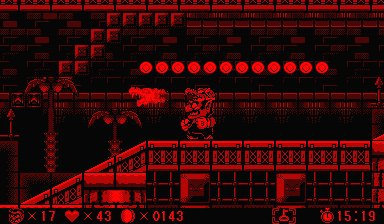 The bull hat allows Wario to break blocks by smashing into them once (rather than twice) and he can pound the ground to stun nearby enemies. The dragon hat breathes fire which is a good way to defeat difficult enemies without getting too close. If you collect either the dragon or eagle hat whilst wearing the other, they combine to make the “King Dragon Hat” which gives you all special powers. If at any time you get hit, you become the powerless “Small Wario” with a further hit resulting in the loss of a life. There are many different types of enemies in the game, all with a different way to attack you and all with a wonderful character design. The best has to be the masked chainsaw fish, but there’s also little pointy masked creatures, bomb-dropping bats, a flying face with blades on either side and a cuddly looking character who pokes his head out from behind a tree before lobbing a spear at you. At the end of each level there is a locked elevator door and to progress any further you will need to have picked up the key that was hidden somewhere in the level. To begin with you will find the keys without trying but as you would expect it becomes harder as you progress through the game. Scattered throughout the level are hearts (collect 100 for an extra life) and coins for you to pick up as well as a hidden piece of treasure. Once the elevator is unlocked you can travel to the next level but before that there are two other stops. First you can, if you want, gamble some coins on one of two mini games: one to earn extra hearts and one for extra coins. In the heart mini game you jump between the background and foreground trying to collect the hearts or diamonds that scroll past (diamonds also award an extra life). The coin mini-game is more about luck as you pick a number, then a container hoping it contains coins to multiply your total. The second stop before the next level is a progress screen with a map showing your current location, treasure you have found, total coins collected and the total time spent playing the game so far. Rather than have level after level of caves, there are different types of environments in the game so at times you find yourself swimming underwater, walking though the woods or in a factory-like level. Things are kept varied so you may be dealing with quicksand in one level, then swimming up a waterfall in the next and it all looks great: cartoony but with plenty of detail. There are a few boss battles in the game which get progressively harder and make good use of the 3D effect. The boss character starts a fair distance away, sometimes attacking from safety, before coming forward. In one battle you can jump across to the other side, so both you and he are jumping back and forth from foreground to background trying to get a chance to attack each other. Before each boss you have to face a small spiked block. It has one vulnerable side and is easy to beat. Amusingly though, each time you face him the little fella has had upgrades. So whilst he begins by just jumping at you, for the following encounters he tries out missiles, flames and finally homing missiles. Bless. Music changes with your location so it can be chirpy, spooky or relaxing with boss battles sounding more frantic. It all sounds good, quite catchy, never annoying and always managing to fit what’s happening onscreen. There are a lot of sounds in the game. Some small, such as the noise from Wario’s feet as he moves about, but others like the sounds you get from bumping or smashing into something really stand out. Enemies make noises too, small squeeks, seemingly taunting you before attacking. It’s all very cartoon–like which fits the game great and adds to the experience. The difficulty of the game depends on what you are trying to do. If you are just blasting through the levels then things are well judged with keys slowly becoming harder to find and the enemies getting tougher. If however you are trying to find all the treasure and collect lots of coins then things will be harder, especially as if you loose all your lives a piece of treasure is taken away from you. You can get it back but there is no map screen so you have to work backwards through various levels using the elevator system. There is one big fault with the game and that is its length: there are just 14 levels. Admittedly some of them are quite long but 4 of those 14 levels are the boss battles. It’s possible to unlock a harder mode but additional levels would have been preferable. It is however a very replayable game, helped by it having multiple endings. The treasure you picked up, the coins collected and how quickly you beat the game all affect which of the various endings you get to see. There are three save files available so you could try different types of play (one rush through, one collect everything) or you could just see how you do compared to someone else. The fantastic visual design and great audio enhance this top-notch platformer. It’s a game you will keep coming back to, either to try and get a different ending or just because it’s so much fun to play through. 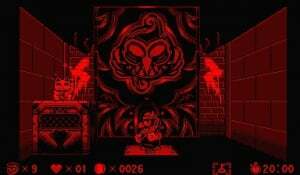 It’s unfortunate that there are not more levels but Virtual Boy Wario Land is thoroughly deserving of it's reputation and highly recommended. Best game for the Virtual Boy by far, IMO. I love this game. It was really the reason I bought my Virtual Boy in the first place. Great review Dave! Yup, this is reason enough to own the system, IMO. The visuals are fantastic, the 3D effect is used really well and the gameplay makes it arguably one of the best entries in the entire Wario series. It's a crying shame that more people didn't get to experience this. Its a shame that the redness of the screenshots (I know why they're red but...) make it difficult to see how well-done the sprites are. Nice review...I wonder if there is any possiblity of seeing an altered version of VB games on VC...? Was it ported to another system (therefore not being a crying shame, because other systems generally didn't fail)? If so I wants! How difficult is it to get screen shots for the Virtual Boy? I am still trying to figure out how you did it. It's not ported to other systems, sadly. Screen shots can easily be attained through an emulator (and even in colors other than red), though I don't know how they get theirs. 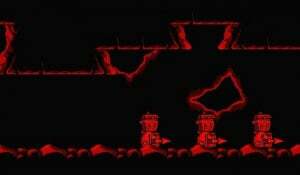 And I agree with the consensus: Best game on the Virtual Boy. I played this more than 3D Tetris, Mario Clash, Galactic Pinball, and Jack Bros. It's a shame such good games will almost certainly never see the light of day again... well, I guess technically they never saw the light of day to begin with inside that big, goofy headset. If this is half as good as Wario Land 4 I hope it comes to VC. VBWL's the main reason I want a Virtual Boy, wish it was released in Europe! The man with the avatar from the original Wario Land title screen begs to differ. 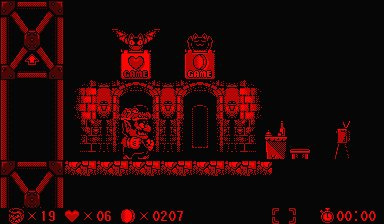 Wario Land 4 was one of the highlights of the series, and a great model that any future platformer would do well to learn from. "It's a shame such good games will almost certainly never see the light of day again... well, I guess technically they never saw the light of day to begin with inside that big, goofy headset." My favorite quote of the week. I'm actually thinking of buying a Virtual Boy just to play this. It's the only WL I haven't played, and it keeps the gameplay of the original game. I wonder if Nintendo will ever release full-color versions of the best VB games on Wiiware someday? @Drake. LIES! We all know very well that Shake It! Is the weakest Wario Land game. I wish there was a legitimate way for me to play this game. Thanks for the great review!!! This review neglects to mention that if you beat it and get all the treasure, it unlocks a new hard mode that's quite awesome (and has it's own ending). Despite not having a lot of levels, the replay value here is killer. ^Penultimate paragraph of the main review. I agree with warioswoods, WL4 was an excellent game. I personally hold WL2 to be the weakestin the series. I really, really want this game. I love the series. Come to the Virtual Console... PLEASE!!! No freaking way could this EVER be better than Mario Clash! I think Nintendo is aware that this is pretty much the only thing about the VB people actually really like. I can imagine them making e new version for 3DS-Ware but (which would be awesome) but on the other hand we all know how Nintendo loves to pretend the VB never happened. COME TO 3D CLASSICS IN 3DSWARE!!!!!!!!!!!!!!!!!! It's a good point. 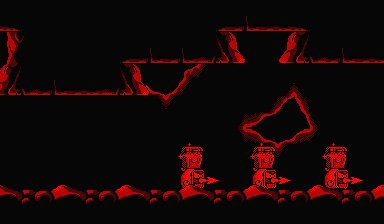 If Nintendo could group together large bunches of the Virtual Boy games and release them on the eShop with 3D added - it could be a great way to experience them! They should revamp this as a 3DS eShop title. So easy! @StarDust ...your excused until Nintendo comes out with a different version for it on the shop. You must buy it then. 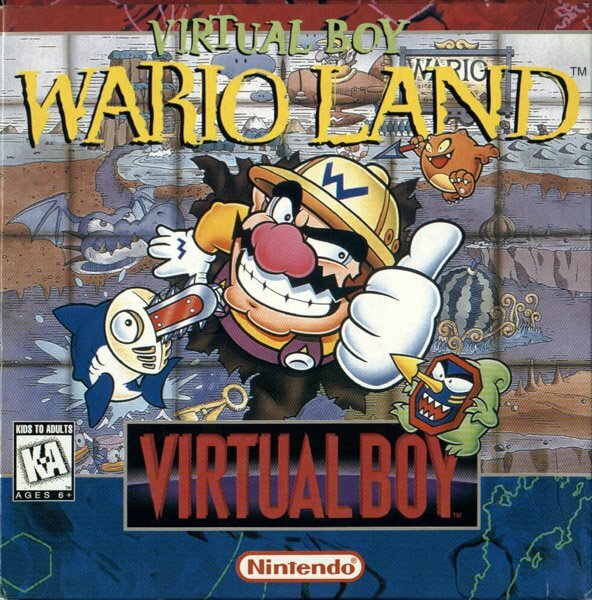 @Fusion14 I would happily buy all the Virtual Boy titles available if Nintendo released them on 3DS Virtual Console, but I'm most interested in WarioLand. 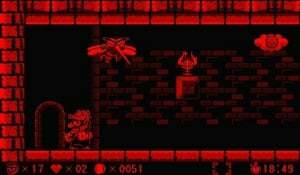 Problem is, Nintendo seems to act like Virtual Boy never existed. 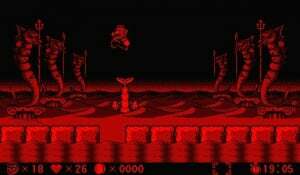 If they put VB titles on 3DS VC, they will have to acknowledge Virtual Boy's existance first. Despite being a product failure, it was quite innovative for it's time and not really something for a corporation to be embarrased about 18+ years later. @StarDust that's debatable but they don't have to say it was for the Virtual Boy. They could easily sneak this game through many people as new by adding colors and fixing everything to make it playable. It would probably sell more as a new game too. 3DS, c'mon. Make it happen.